The heating element and enamelled pot are removable for easy cleaning, which is something you don't often get with many deep fryers. 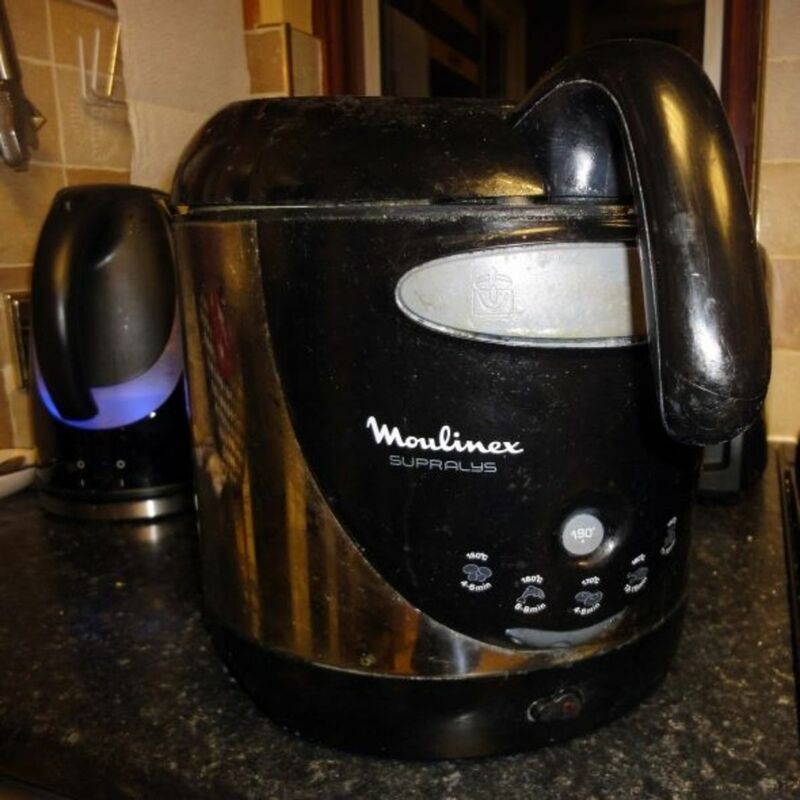 What makes this really special is its multi-purpose function in that it also doubles as a large capacity pot for steaming and boiling; making this an excellent value product. Cook your chips (French Fries) in a chip pan, or even oven bake shop bought ones, and wondering whether to buy a deep fat fryer? What's called chips in America is called crisps in England. Now's your chance to look at the options and make your own informed decision on whether this too could become your favourite cooking tool. Having been brought up on cooking chips in a chip pan and then many years ago trying a deep fat fryer I haven't looked back since. My aim with this article is to impart my experience with chip pans and deep fat fryers, looking at the pros and cons of the various ways of cooking chips and to highlight what I consider to be some of the best appliances and utensils currently available on the market for the preparation and cooking of chips. Amazon have a great range of deep fryers to cook your favourite foods quickly, efficiently and safely, in a range of different sizes, shapes and capacity. The Presto duel basket stands out in that it also doubles as steamer and for boiling food. Albeit, all fryers here are popular models with good reviews, each one with its own good features; so the main deciding factor may well be the capacity you're looking for and your preferred style such as which one that best suits your kitchen décor. Partly fill a large saucepan with vegetable cooking oil, until recent decades it would have been lard (animal fat); the saucepan should be no more than one third filled otherwise cooking oil will spill over onto the hob during cooking causing danger to you being burnt and risk of fire. Prepare the chips ready for cooking e.g. wash and chip the potatoes; optionally peeling the potatoes before chipping although I prefer to keep the skins on when preparing chips. Turn the hob onto full and wait for the oil to start boiling, takes a few minutes. 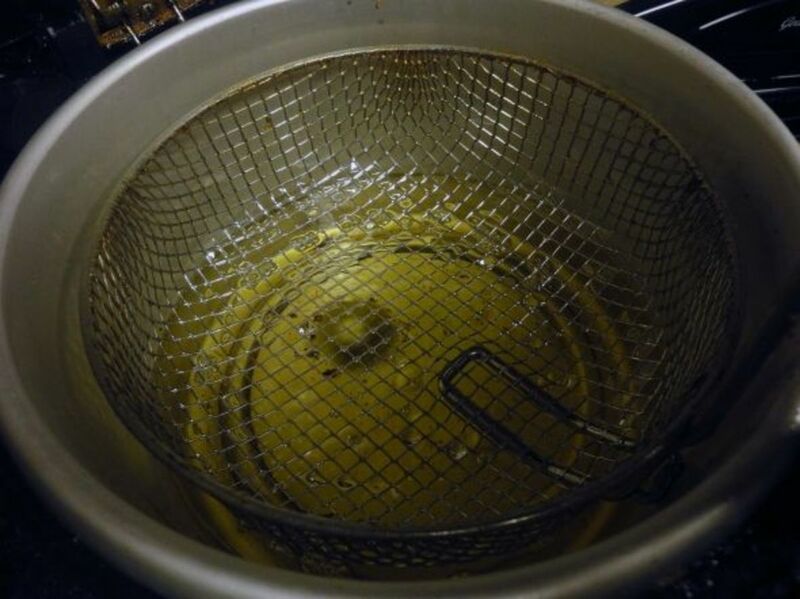 Slowly tip the chips into the hot cooking oil, a large handful at a time allowing excess moisture in the chips to vaporise and for the temporary spitting in the oil to settle before adding more chips; adding too many chips at once and the oil will spit and froth up too vigorously with risk of burning you and causing a fire if the oil overspills. The chips will take about ten or 15 minutes to cook and when you get use to cooking chips this way it's easy to become complacent and sit down in front of the TV until the chips are done although then there's the real risk you'll get engrossed in some programme and forget about the chips; with a real danger of the oil overheating and catching fire. So it does pay to stay in the kitchen while the chips are cooking to keep one eye on them; and if you're having them as part of a meal e.g. 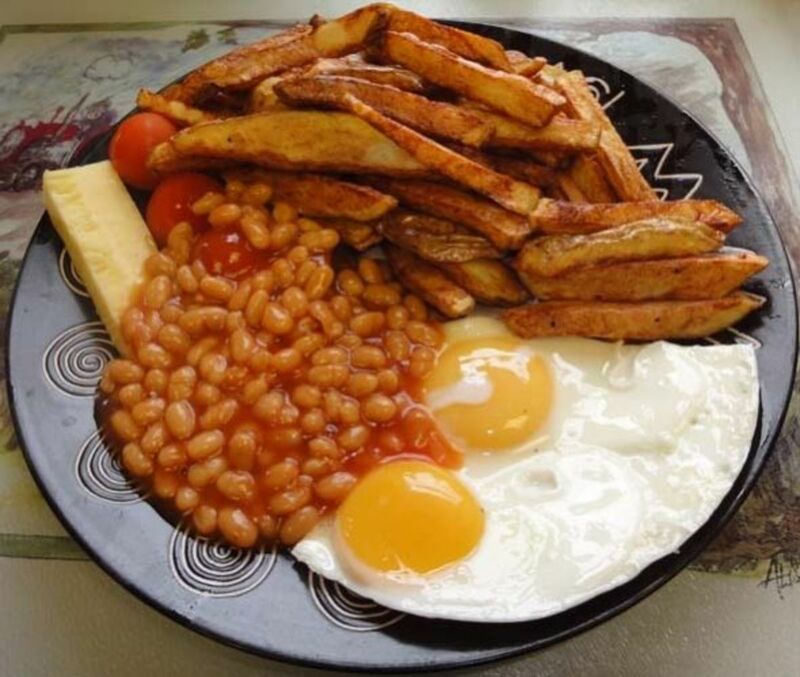 fried eggs and baked beans, salad or a chip butty then you can prepare the rest of the meal and set the table while the chips are cooking. Once you think the chips are done, use the draining spoon to scoop out a chip and test it e.g. break it in half and have a taster to see if it is done. Once the chips are cooked scoop them out with the draining spoon onto plates ready for serving; optionally, you may wish to place a piece of kitchen paper towel on a plate and scoop the chips onto this first (to drain excess oil) before transferring them to the main plates for serving. If you don't want to go electric and deep fry the good old fashion way then this is an ideal option. If I was choosing a Chip Pan this would be my first choice. A chip pan is just a large saucepan with a chip basket so cooking chips in a proper chip pan is essentially the same as cooking them in a large saucepan. The only real difference is you place the chips in the chip basket and slowly lower the basket into the hot vegetable oil and once done all the chips can be lifted out at once for serving. It's also a little easier to drain excess cooking oil by giving the chip basket a few quick shakes over the chip pan and optionally tipping all the chips onto a plate laid with kitchen paper towel to soak up some of the excess vegetable oil before serving. 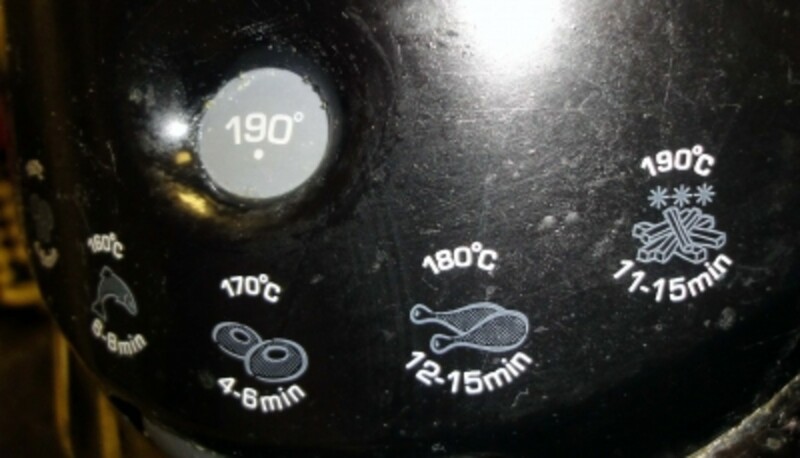 One neat trick for knowing the exact moment when the cooking oil has reached to correct temperature for cooking chips is to drop one chip into the saucepan when you first turn the hob on. The chip will sink to the bottom of the saucepan, but once the right temperature is reached it will float to the surface. 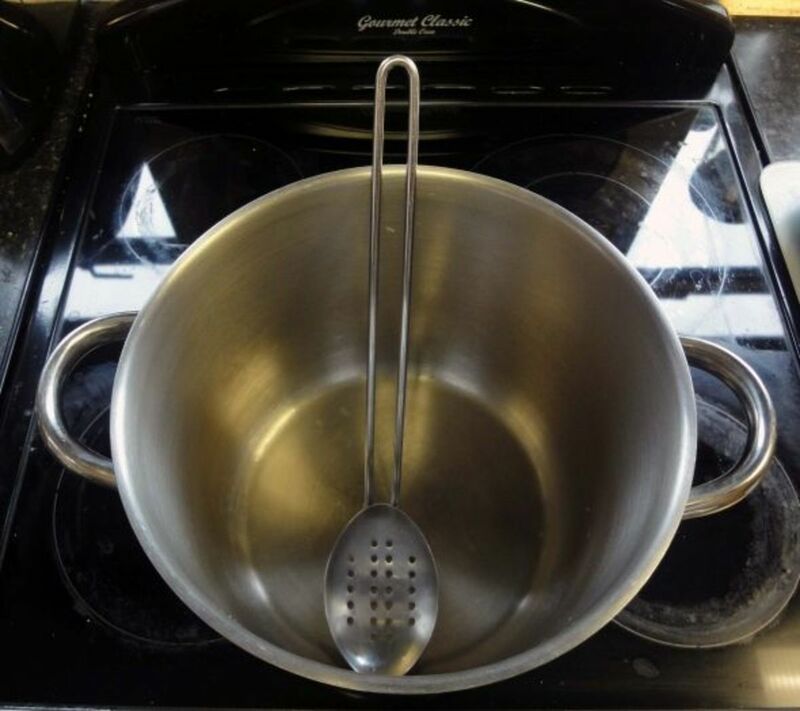 This little tester will work equally well whether you use a large saucepan and draining spoon or a proper chip pan with chip basket. A large capacity deep fryer very similar to the one we use, so I know from our experience that it'll be a good fryer, ideal for cooking lots of chips (fries) for the whole family. One additional feature which is novel is the function to easily and quickly drain the old oil when the fryer is ready for cleaning prior to adding fresh cooking oil; quite popular with some good reviews. The Deep Fat Fryer is essentially chip pan with an electric plug, thermostat control and a sealed lid. 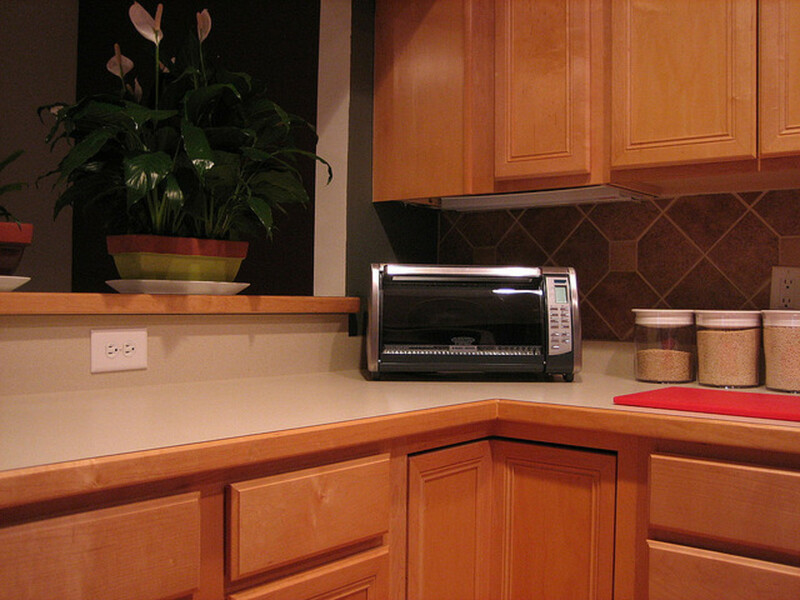 It's these features that set it apart from the humble chip pan, particularly the thermostat control in that you're guaranteed the correct cooking temperature is reached and maintained so the risk of overheating and causing a fire is minimised. 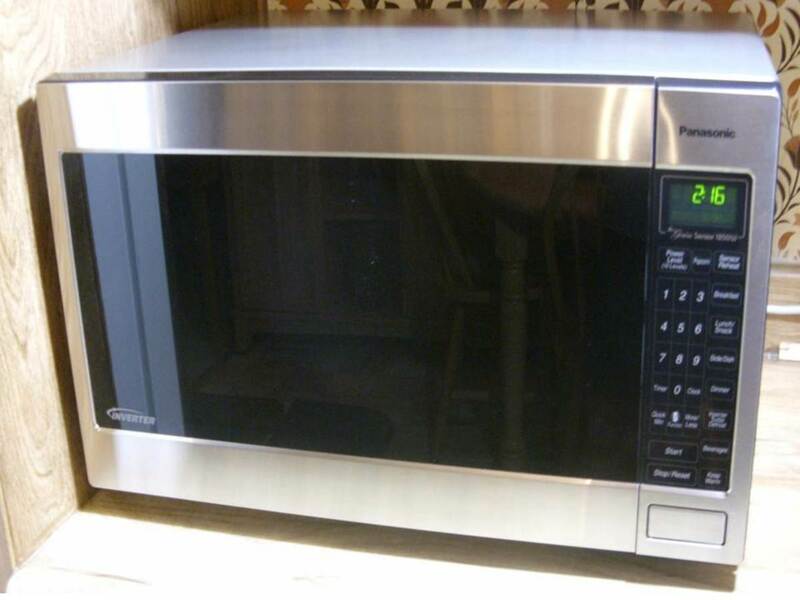 The thermostat control is variable so you can use the deep fat fryer to cook other foods such as mushrooms that require lower cooking temperatures; the humble chip should be fried at 190 C (374 F). The sealed lid is an added safety feature in that even if the vegetable oil spits and boils-up too much when you first add the chips it's contained eliminating any risk of being burnt by hot spitting oil or the oil rising up and flowing over the top. The sealed lid also reduces steam significantly, it comes with a filter which you are supposed to change regularly; but we don't bother with the filter because in my opinion it traps too much moisture from the chips which ends up condensing into the oil and making the chips more soggy. So we just remove the filter to let the steam out naturally and use the deep fat fryer near an open window or close to a cooker hood. There's also a window in the top of the lid but with all the steam you can't see how the chips are doing so I don't see much point in the viewing window. Another really good feature with deep fat fryers is that you can lower and raise the basket with the lid closed and you can park the wire basket in the up position. This is particularly neat in that you can close the lid before lower the wire basket eliminating any risk of any spitting oil hitting you. It also means that if the chips are almost ready when the rest of the meal isn't you can raise the basket for a few minutes (up to five minutes) giving more time for the rest of the meal to cook or be prepared; then lower the basket again for another minute or two complete cooking the chips. Do you have a deep fat fryer, if so what do you use yours for? 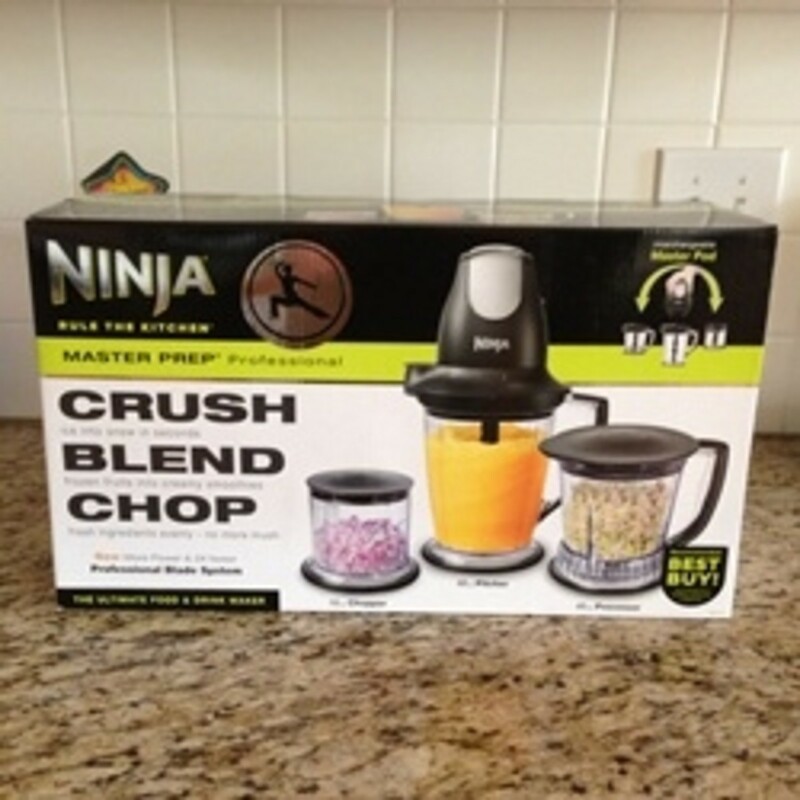 If you don't have one will you be getting one in the near future and if so what foods do you think you cook in it. When we clean ours and change the oil we don't just dispose of it; which I think would be wasteful when there's still plenty of life left in the oil. We pour the old vegetable oil into a used 1 Litre plastic drinks bottle so that we can then use it for shallow frying e.g. for fried eggs, omelettes and occasionally bubble and squeak. Bubble and Squeak, an old traditional British meal is a favourite of mine and is quickly made from leftover mashed potato and cooked cabbage which is shallow fried in a frying pan, turning frequently until golden brown. The quantity of cabbage to potato isn't critical but it's generally about a 1 to 2 ratio. The origin of this simple and quick Traditional British recipe which stems back to at least 1806 is at a time when nothing was wasted and money could be saved by using food scrap leftovers from the Sunday lunch such as mashed potatoes and cabbage which are quickly fried-up to make a tasty and wholesome meal. There was a revival of this tasty meal in Britain during the Second World War when there was a shortage of food and food rationing was introduced; although it has remained a popular dish to this day and I look forward to when I've got some spare cabbage for making it as a special treat. I'd be interested in your views, in the comments box at the bottom of the page, on this and any other related comments on frying and fried food. 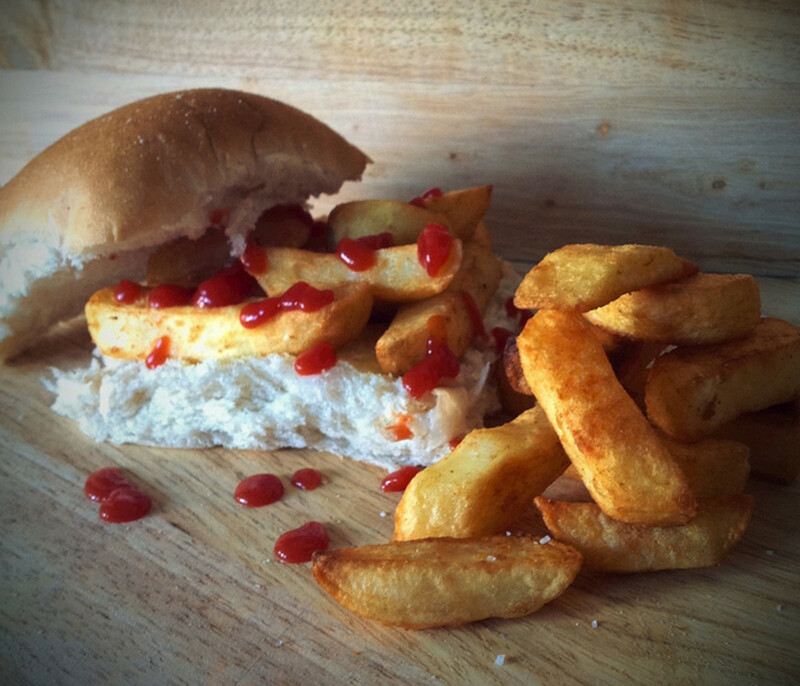 If you're British its chips and if American then Fries. Regardless to what you call them, how do you cook them? How do you cook your chips? 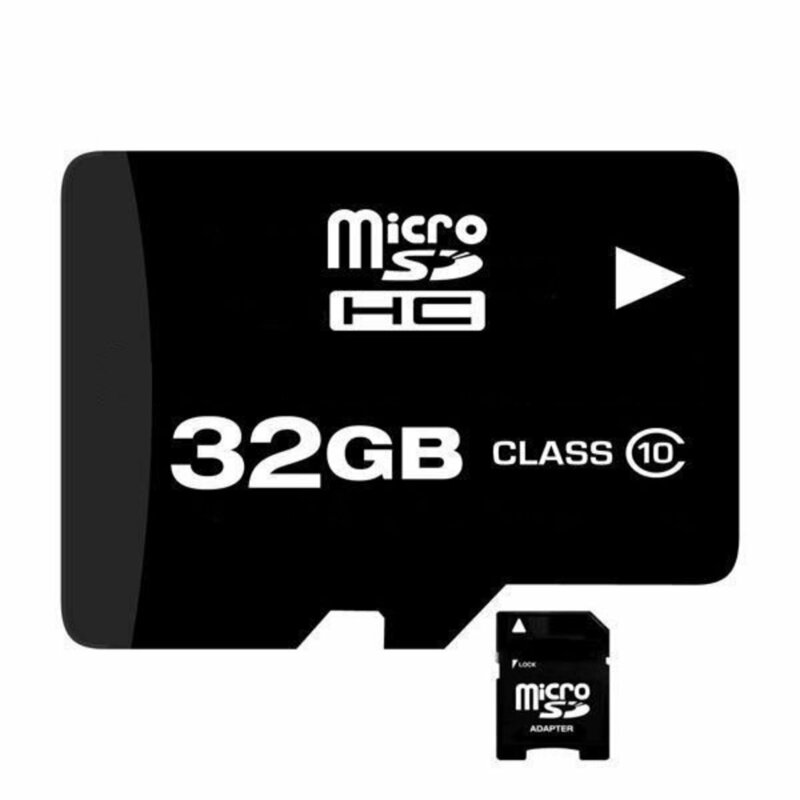 How to test for a fake micro sdhc using h2testw? Thanks for your info Tony; yes the Presto Fry Daddy looks a cool option well worth considering when looking for a new deep fat fryer. I have a Fry Daddy that cooks anything you want to fry up.